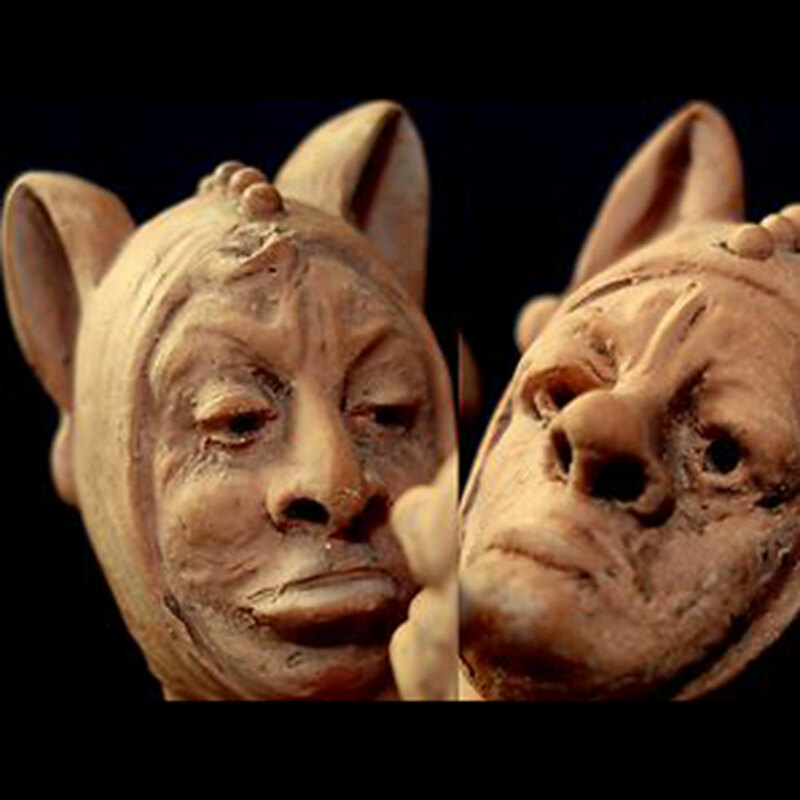 Some of the most striking exhibits in Carnival & Cabaret have been loaned or donated to the museum by collectors who wish to support our mission of celebrating and preserving the fired arts of ceramics and arts. Jeff and Penny Spellens of California recently acquired the rarest version of the Captured Bird performed by Niddy Impekoven which is now on display at WMODA. 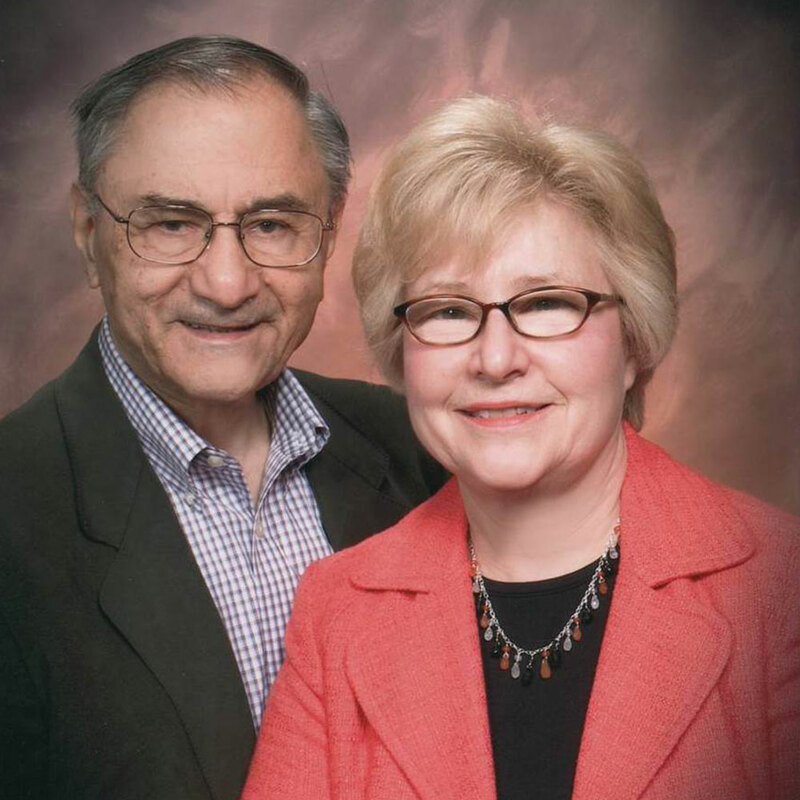 Caroline D’Antonio donated a fabulous Goldscheider collection in memory of her late husband, David. 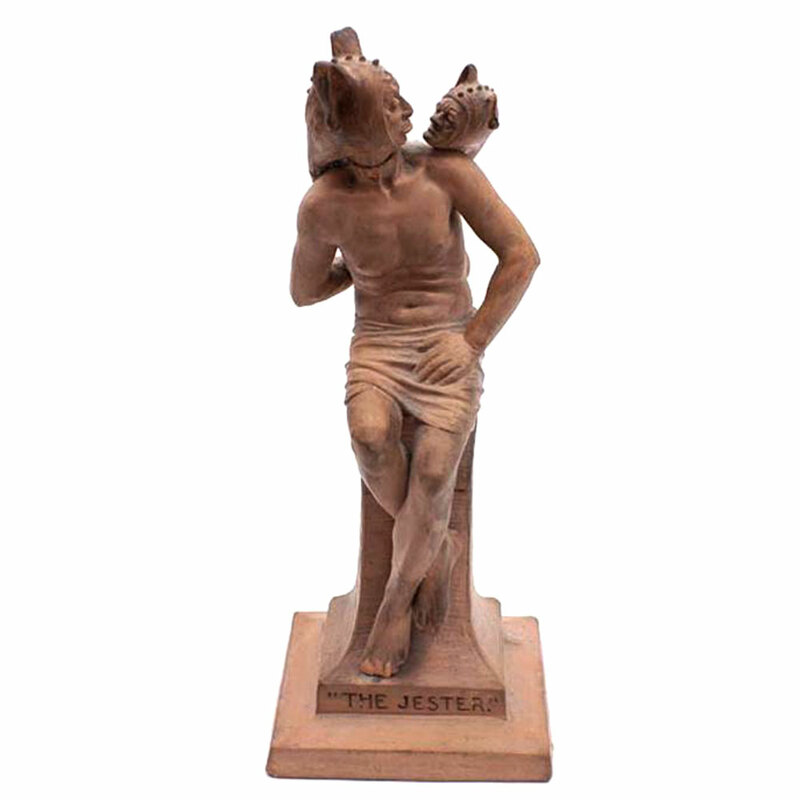 Don and Diane Kendall have loaned the elusive terracotta Jester by George Tinworth. 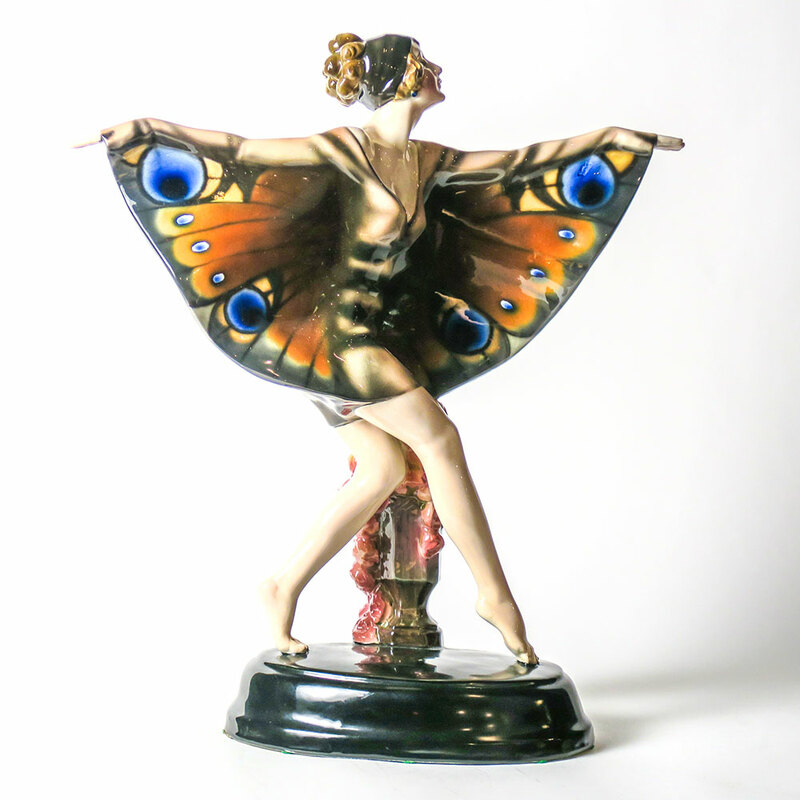 Caroline D’Antonio started collecting Royal Doulton figurines for her mother while she was still at High school in the 1960s and acquired a few for herself in her early years of marriage. 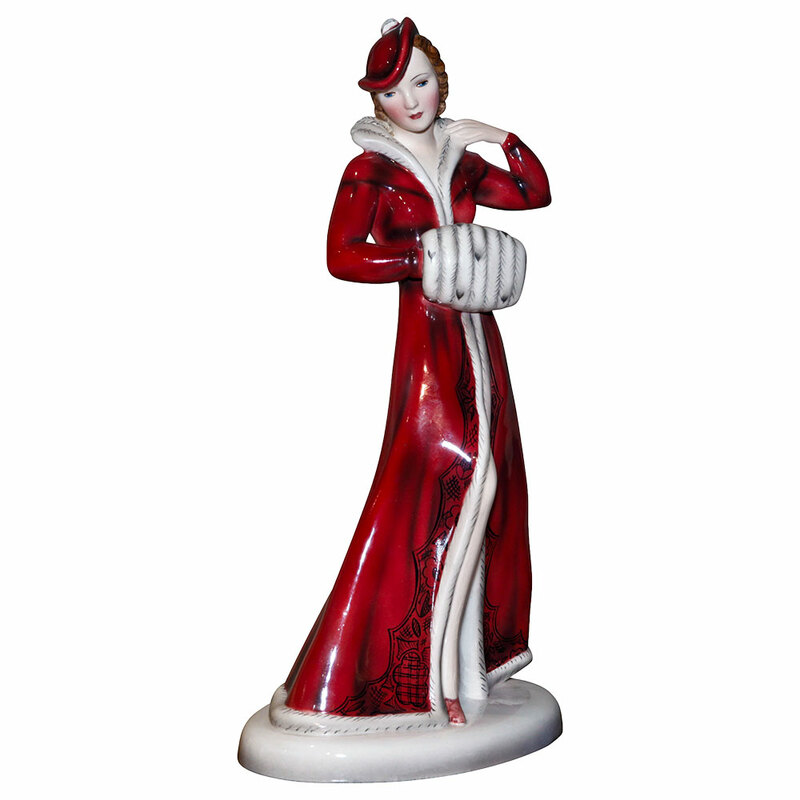 Thanks to the Seaway China catalogs, she learned about retired figurines and gradually built a fine collection. 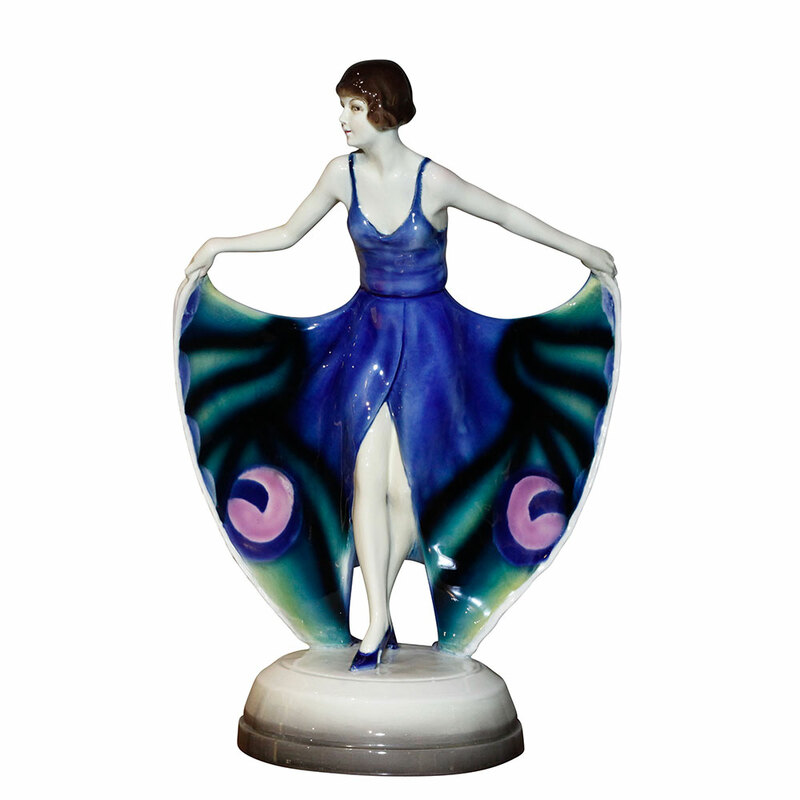 Initially her late husband, David, was not supportive of her hobby but he began collecting himself when he met the Seaway China team at an antique show in New York. 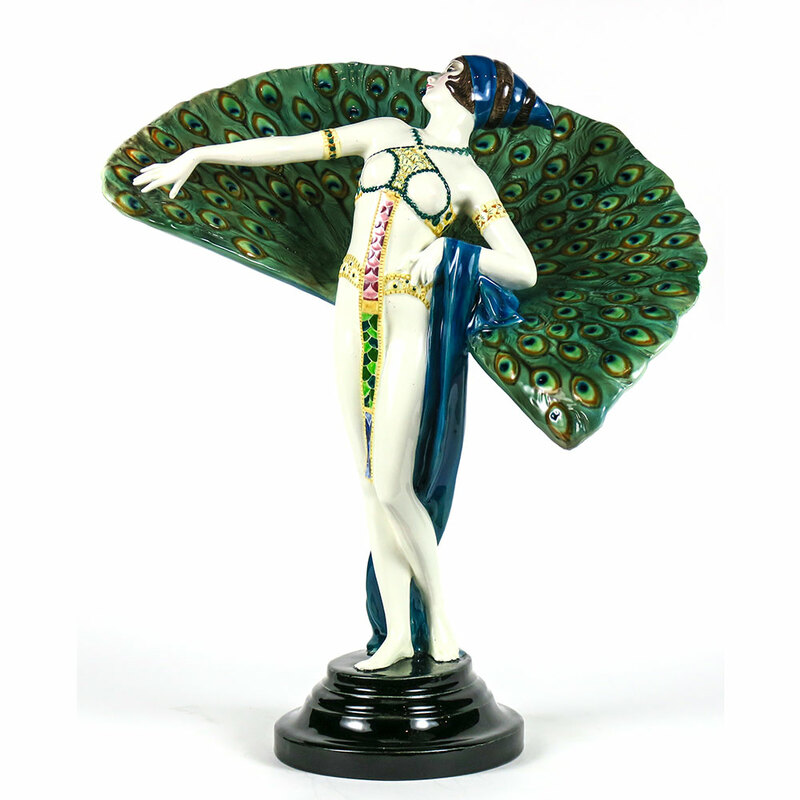 As well as Royal Doulton, David became fascinated with Goldscheider figures from the 1920s and acquired an impressive collection which were donated to WMODA for the Stage & Screen exhibit. 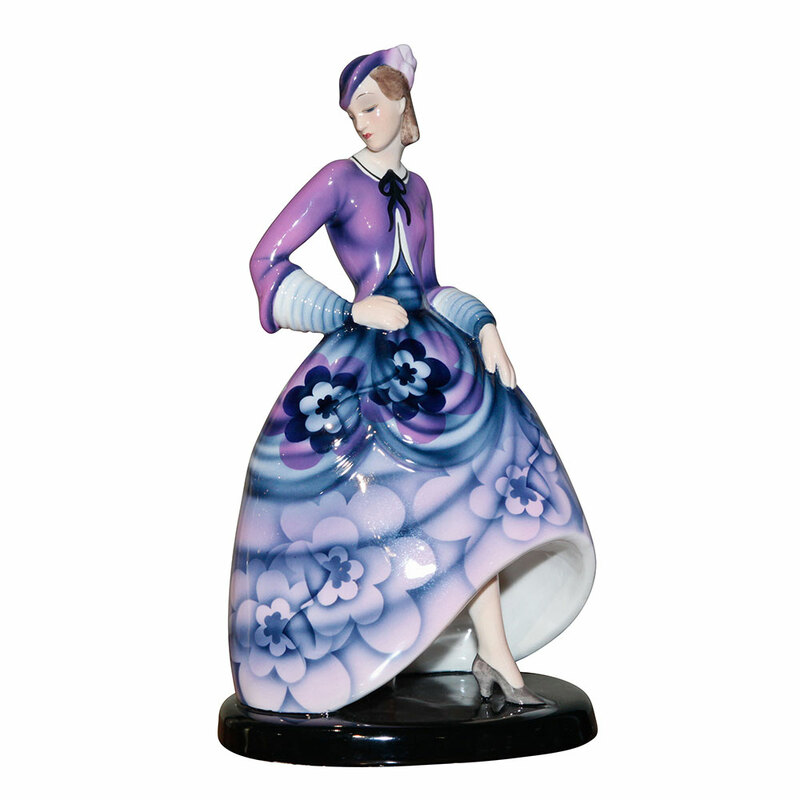 Caroline has continued to collect and has gifted many wonderful pieces to WMODA including the rare Royal Doulton Tambourine Dancer. 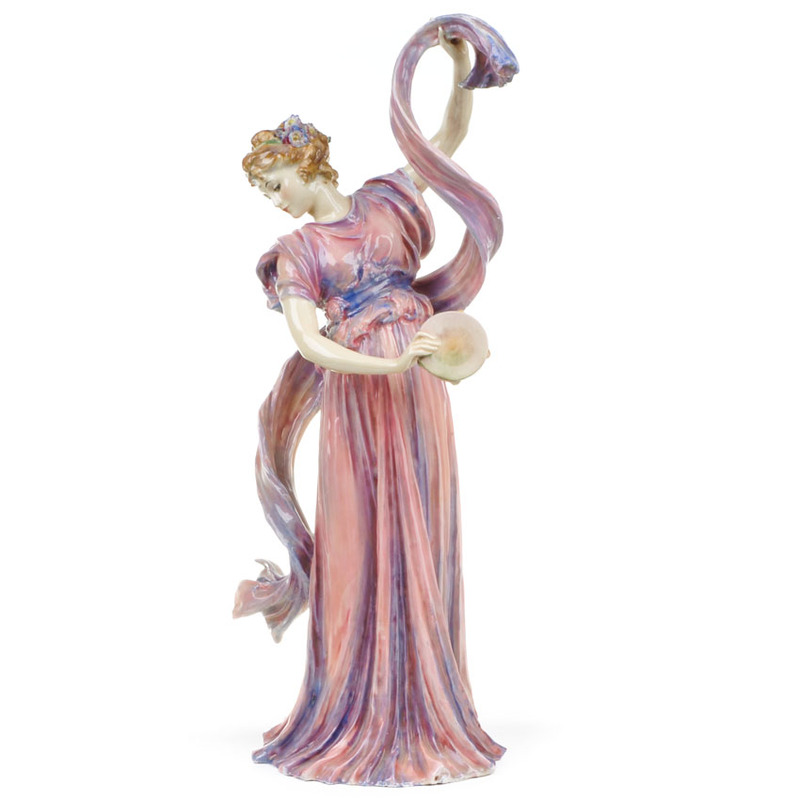 Jeff and Penny Spellens have been keen Royal Doulton collectors for many years and they have graciously opened their beautiful home in California to fellow enthusiasts during Seaway China events. They are fascinated by many aspects of the decorative arts and have also formed a spectacular collection of 19th century silver. Penny’s vintage 1920s fashions have added glamor to several WMODA exhibitions and are currently on display in the Art of Tea. 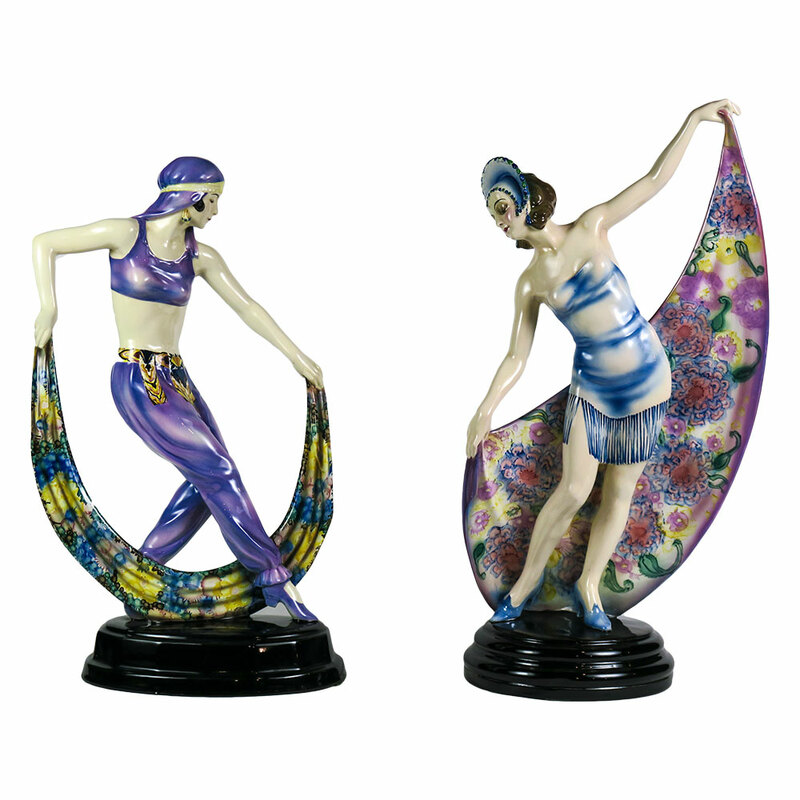 Recently, Jeff and Penny were introduced to Goldscheider’s Art Deco Faience figures and their latest acquisitions are on display in the Carnival & Cabaret exhibition. 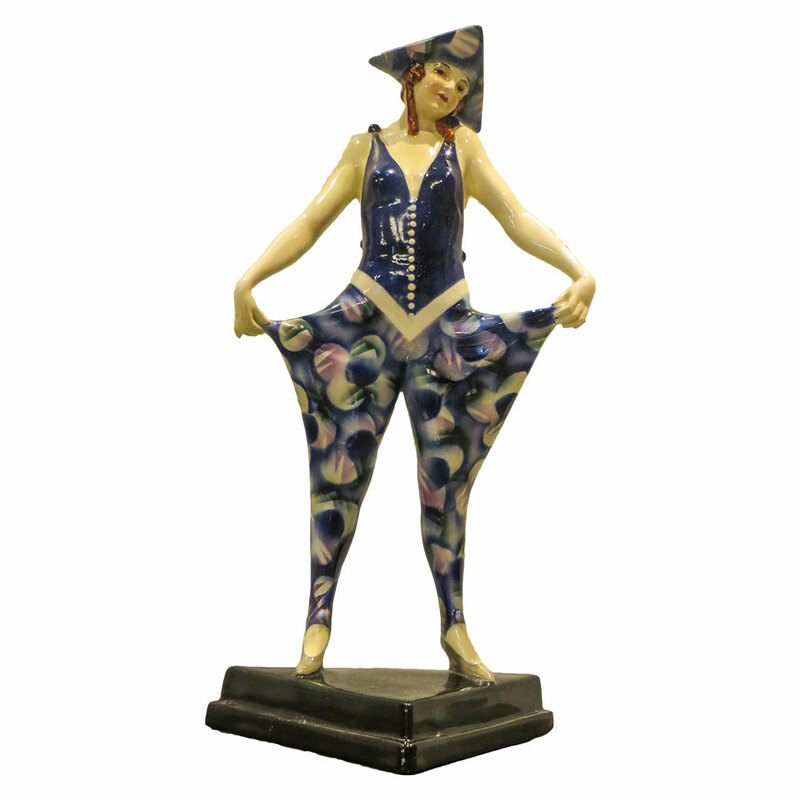 Our display of carnival revelers has also been enhanced by a very rare Royal Doulton terracotta jester by George Tinworth thanks to the generosity of Don Kendall from Texas. 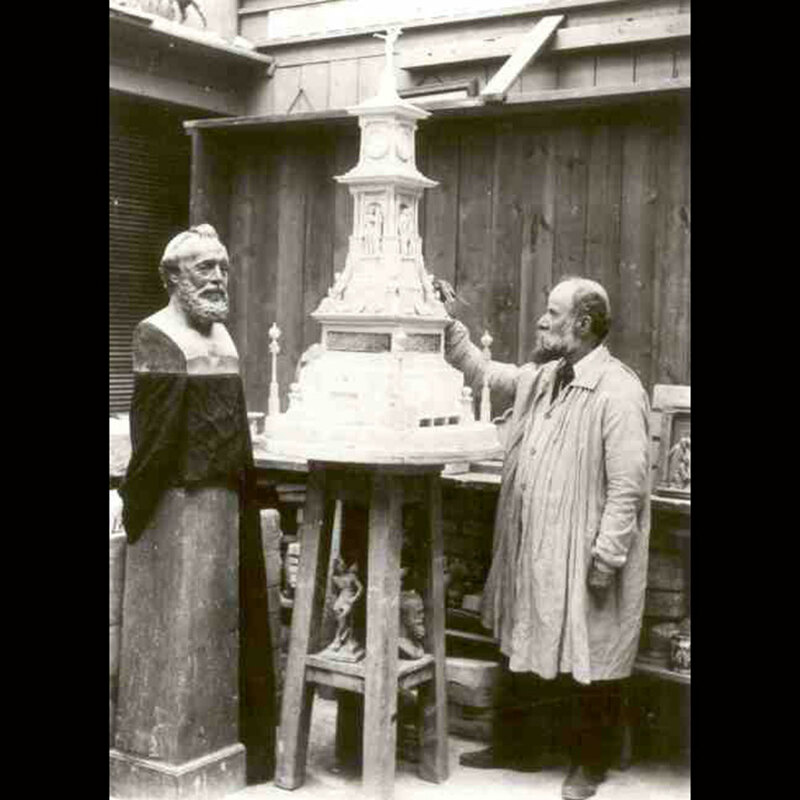 Tinworth was obviously very proud of this sculpture as it appears in a photograph of him working on a Shakespeare Memorial together with his busts of Henry Doulton. Don Kendall is an avid Royal Doulton collector who has specialized in stoneware from the Lambeth Studio and flambé wares from Burslem. 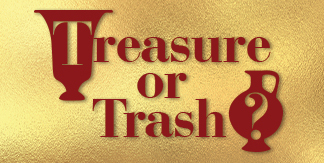 He is particularly fond of animal studies and has many examples of Tinworth’s famous mice groups. Most recently, Don is enjoying the Ardmore animals from South Africa and has been to visit Fee and artists in Kwa-Zulu Natal during one of his safari trips.